Most people with LBP resort to taking medications and people with chronic LBP often end up taking Oxycontin (oxycodone) or other opiods. These drugs are highly addictive and have not been shown to be effective or safe despite their popularity. In the study, 82 patients with chronic LBP received daily an alkaline multimineral supplement over a period of 4 weeks in addition to their usual medication. 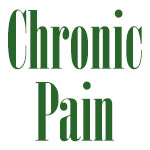 Pain symptoms were quantified with a standard pain rating scale. After 4 weeks of supplementation, the mean pain rating dropped by 49 percent and 76 out of 82 patients showed a significant reduction in low back pain. Improvements paralleled increases in total blood, although blood pH rose only slightly from pH 7.456 to 7.470 (not surprising as the body works extremely hard to maintain blood pH within a very narrow range). The investigators reported that all patients had a significant reduction in pain intensity at two weeks. However, in the magnesium group this reduction in pain intensity continued throughout a six-month follow up period (pre-treatment values were 7.5 at baseline compared to 4.7 at 6 months). In contrast, these pain perception values in the control group were 7.4 at baseline and 7.2 at the 6-month follow-up. Likewise, all patients had a significant improvement in lumbar spine range of movement at the 2-week time point, although only the magnesium group improved throughout the 6-month follow-up period.